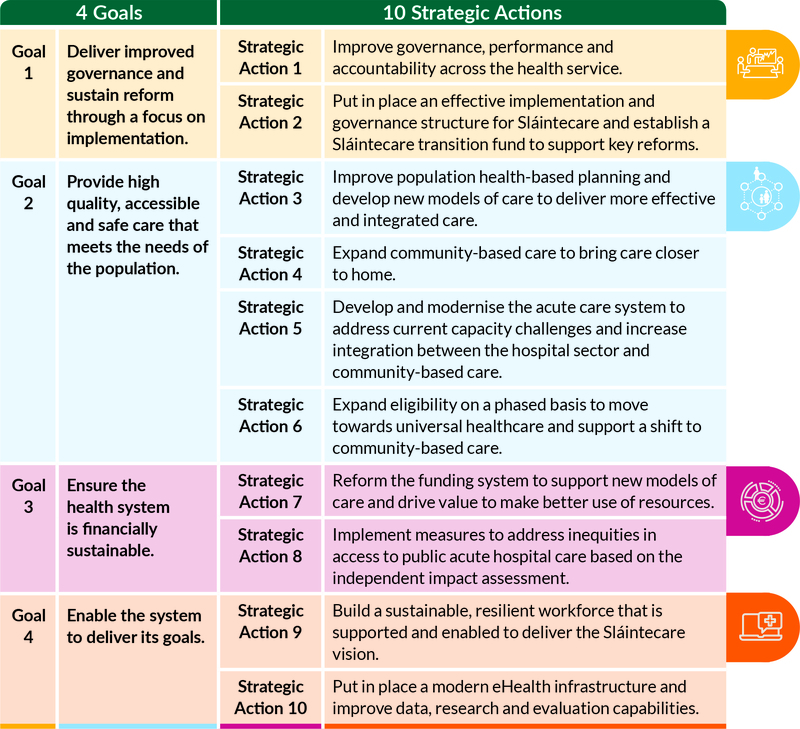 What is the Sláintecare Implementation Strategy? The Sláintecare Implementation Strategy is the Government’s plan for delivering a sustainable and equitable health and social care service over the next ten years. It is the roadmap for building a world-class health service for the Irish people. Sláintecare is an ambitious and complex reform programme that will take ten years to implement in full. The Sláintecare Implementation Strategy lays out the direction for the next ten years and actions for the next three years that will be taken to lay the foundations for reform. It is the first step in a detailed planning process to deliver on the Sláintecare vision. The plan outlines four overarching goals and ten strategic actions that will guide reform.